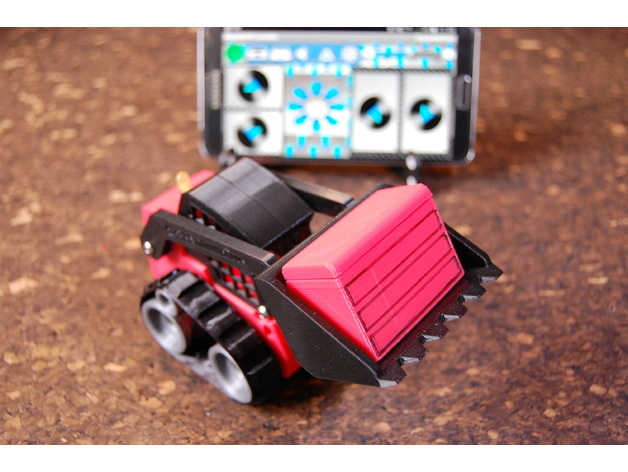 Bluetooth Mini Track Loader Charger #3DPrinting #3DThursday « Adafruit Industries – Makers, hackers, artists, designers and engineers! Blackmann shared this project on Thingiverse! This is a charger I have created for my small bluetooth controlled track loader. This makes it possible to charge the track loader with a standard phone charger that uses micro usb plug. It also enables you to check the cell voltage of the battery inside the track loader. When no usb cable is connected it displays the actual cell voltage. When a usb cable is connected it display charging voltage. Through the 2 small holes in the bottom you can check if its still charging or its done.